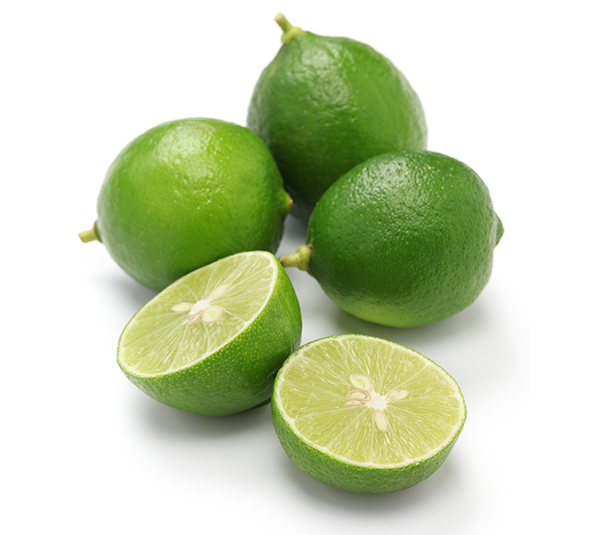 The Key Lime (Mexican Lime) is the most aromatic of the limes and is often used for desserts (key lime pie), marmalades, and garnishes. The tree is medium to large size and extremely thorny with a dense canopy of small leaves. It can produce all year round in milder coastal climates, but it is very frost sensitive. The fruit is small and has seeds, but with a warm to hot summer it will grow larger in size.